Updates & Corrections to v 3.0 of the book published October 2017. Future reprints – 3.1, 3.2 etc – will include all previous updates and corrections listed here. Moto Plus in Casablanca. Probably miles from where you are but a good place to despatch motorbike tyres (and maybe other generic parts) cross country. A recent video of MA6 so you know what you’re letting yourself in for. Car and especially bike, definitely less hard southbound. He also says ME8 out of Figuig via the new dam is getting sealed. The new routing is clear but may not match the book’s description. The option to fill out and print your D16 TER temporary vehicle importation form online in advance has been dropped. Get it done at the port. A lot of rain in October has roughed up some southern pistes and the Tichka pass northside has more construction than last year as road-widening spreads down the mountainside. Whole sections of rocky hillside are being cut through to straighten the road, and in the rain the muddy old road could get slippery and slow. On the south side of the pass, the road between Telouet and the N9 looks like it’s nearing completion, but is more disrupted than ever. Coming down the cliff below Assaragh (MA12, MA13; right), they finished a sealed bypass around the west of Aguinan, but coming down it’s more fun to stay on the steep concreted track through Aguinan village and oasis. 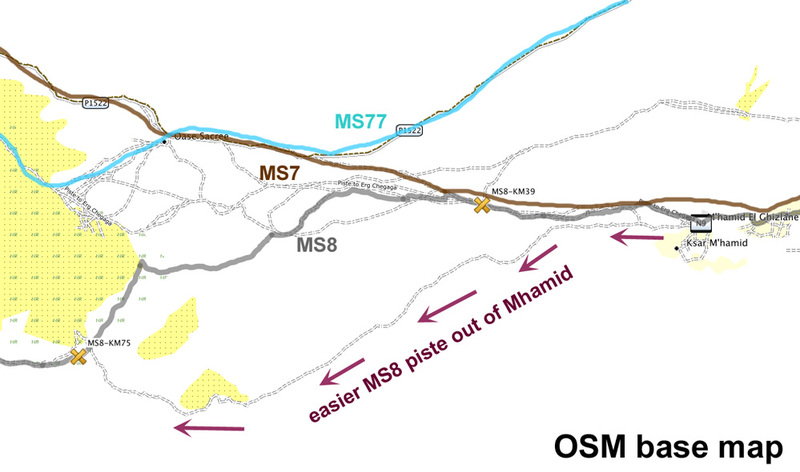 It’s said the new road to Assaragh across the hills from Agadir Melloul will be finished in a few months which will means MA13 will ease up and MA12 from Timdrart village (KM139) back to the P1743 road at KM163 may well become disused and consequently unmaintained. On MH4 Jebel Sarhro they say 20km out of Nekob is now sealed, but it’s hard to think the link to Iknioun tarmac will be completed soon. On MH14 Sarhro West, ‘KM20’ start of climb just after a village is more like KM22.5. 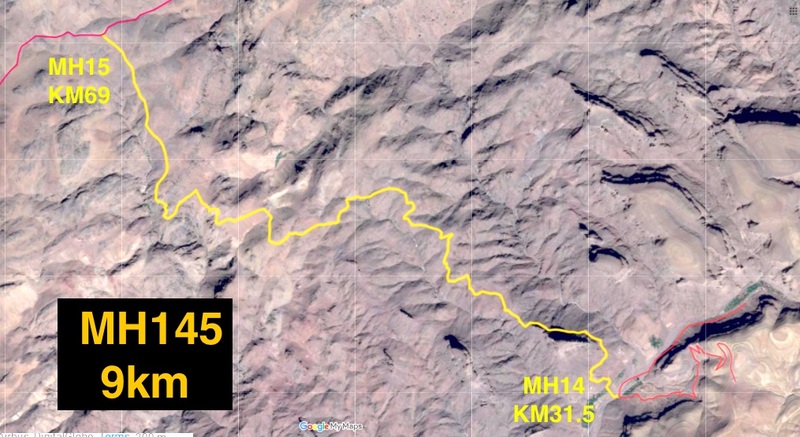 We crossed the oued at KM31 and second left took the link piste west to MH15, now called ‘MH145′ which I descended in a car about a year ago (see below). Westbound, the 9-km climb is now toughest right at the start as it climbs steeply on a washed-out track below the butte. From there on it eases up bar the odd, short, washed-out climb. Amazing views when you get a chance to take your eyes off the track as it meets MH15 at KM69. As expected, reversing MH15 southwards felt easier than climbing it, as I did in 2017 on a WR250, but has become more washed out. A beginner wouldn’t want to do this little-used-track alone on a big bike with alloy panniers bashing off the sides and shoving you over the edge. Below: exposed descent (southbound) around KM48. As the descent ends to meet the valley track at KM42, the sandy ramp side valley has filled right up with loose sand. Again, heading northbound on a big loaded bike, this might be a bit of a shock and would require a good run up in a 2WD. It’s possible that the high-altitude hamlets get serviced from the north along the improved mine haul road so this dramatic section of MH15 has now become one of the harder pistes in the book. 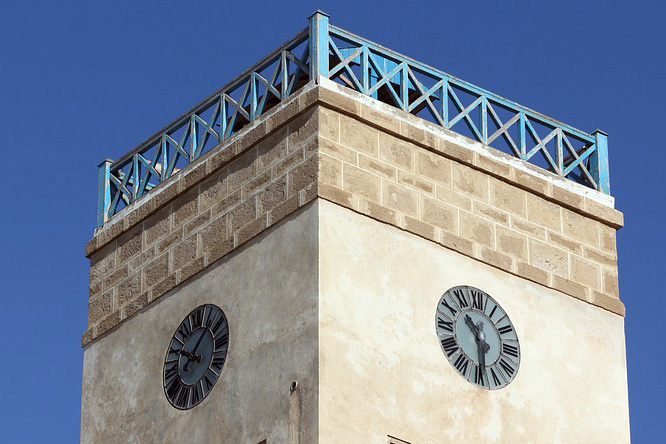 At the very last minute Morocco has decided to not put the clocks back an hour for winter. It will now stick with GMT+1, all year. What that means for most of us who visit the south during the winter period is chillier mornings and longer evenings. The EU has talked of introducing similar changes. The rational behind clock changing makes more sense the further you are from the equator. Daylight in Dundee varies by over 10 hours over the year, but in Ouarzazate it’s only about 4. Most of the world does not change its clocks twice a year. 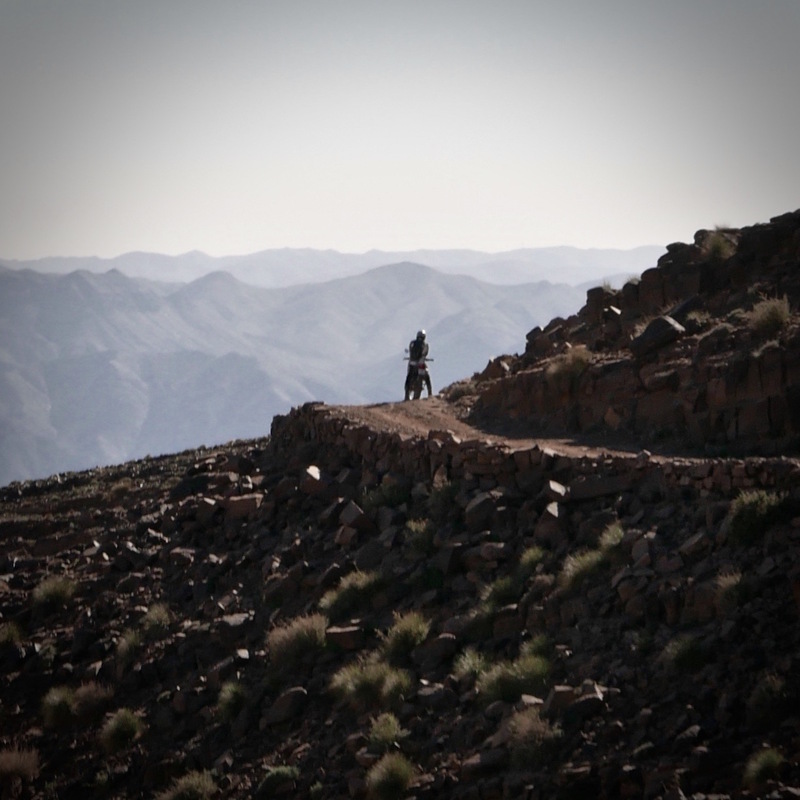 New route: MH20 High Atlas crossing. Insurance at Nador port seems to be available again. Warning: Although the visa extension was easier than reports on the web, extending our vehicle insurance was not. There are assurance offices in most large towns, but they will only do Moroccan registered vehicles. That includes AXA. The frontiers insurance seems to be a monopoly with CAT Compangie D’assurance Transport based in Cassablanca. They have relatively few agents and you have to visit the agencies in person to get a new assurance certificate. It cost us 1952 D for 3 more months (the same as at the border). And contrary to what I thought, I’m told Bike Sure-Adrian Flux can issue Green Cards for Morocco. 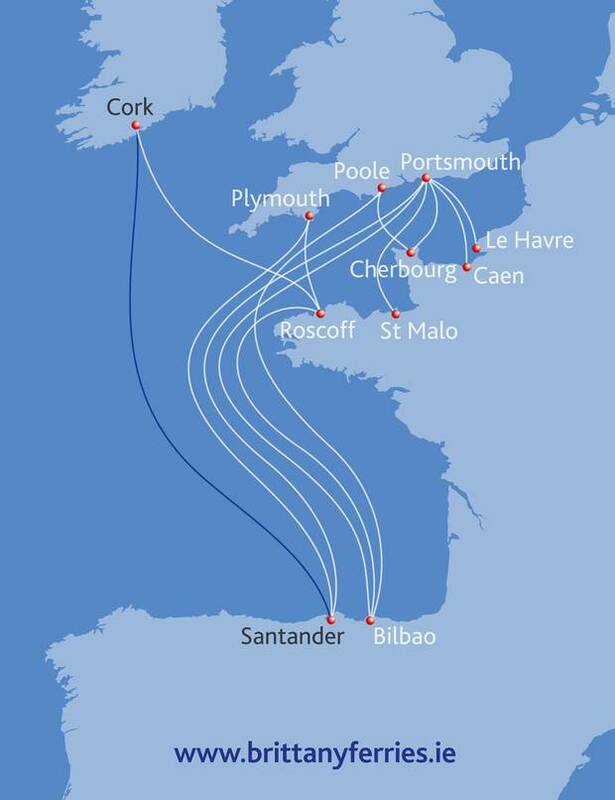 Brittany Ferries announce a new ferry route between Cork and Santander – 26 hours each way, twice a week from April to November. 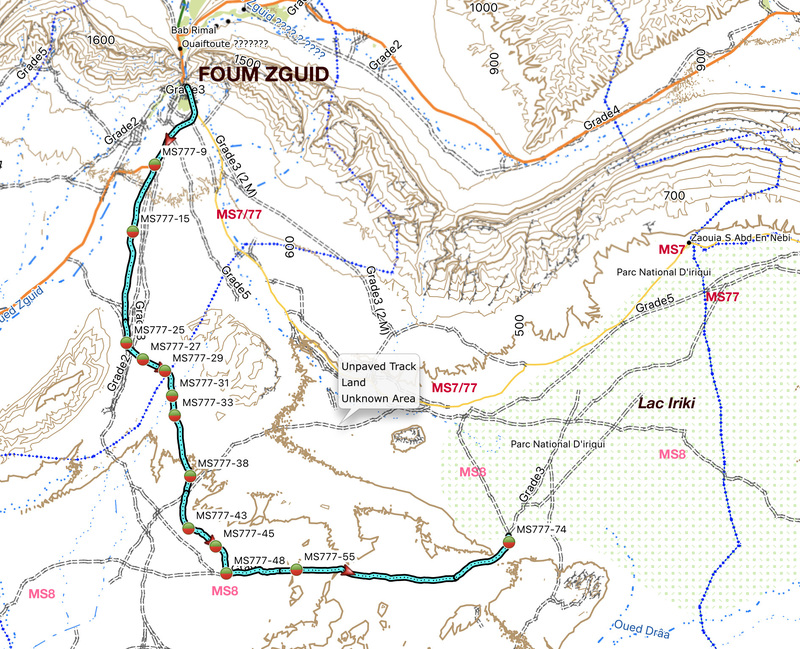 New route MS777 (right) from Fred W; a smoother way to or from Foum Zguid to Lac iriki via MS8. Download the pdf route description. 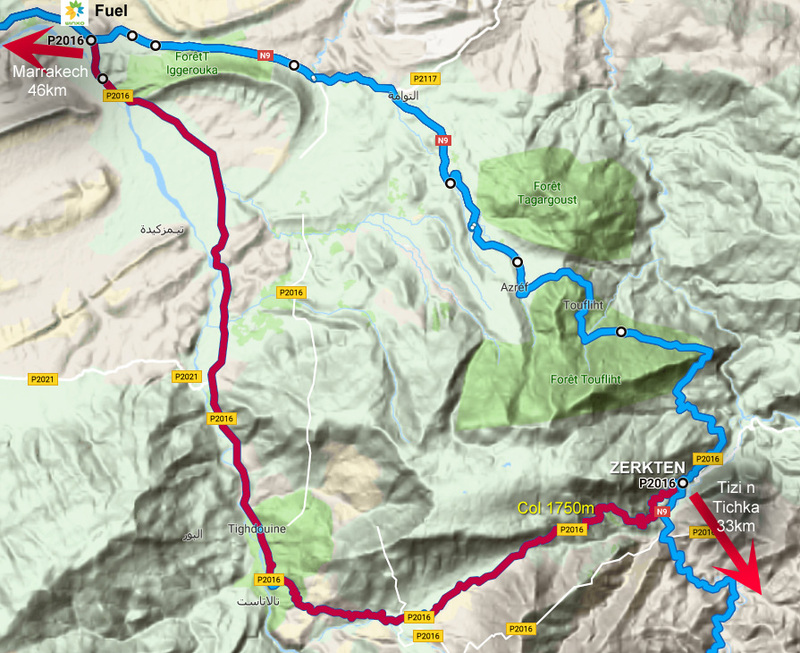 … the initial route description [out of Mhamid] makes it quite a bit more difficult then it ought to be … it sure keeps you busy and makes it more adventurous. 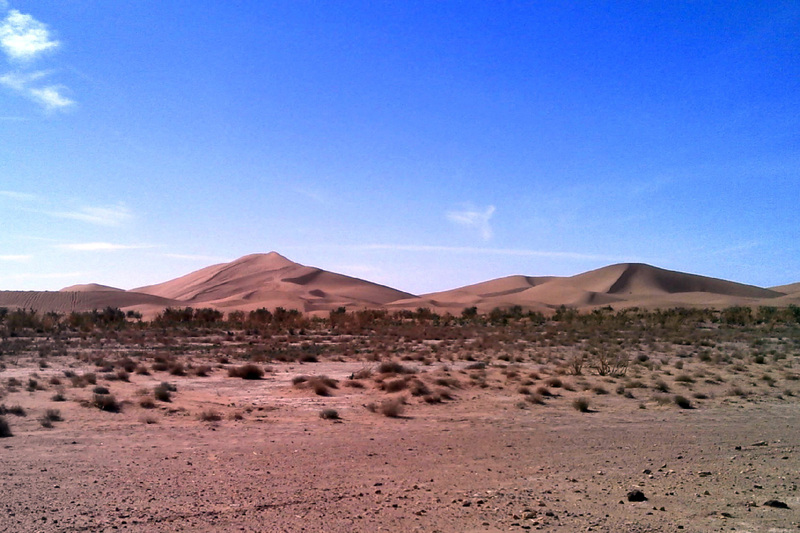 The zigzagging between the dunes can be avoided by following the main trail right out of the village to the south for Erg Chegaga which makes a big curve under all the messy bits. It is drawn (more or less) like this on most GPS maps (eg: left). It then picks up the described route again close to Erg Chegaga [KM75]. This is the route as given to us by a local guy so it is relatively well travelled and thus quite easy to follow. 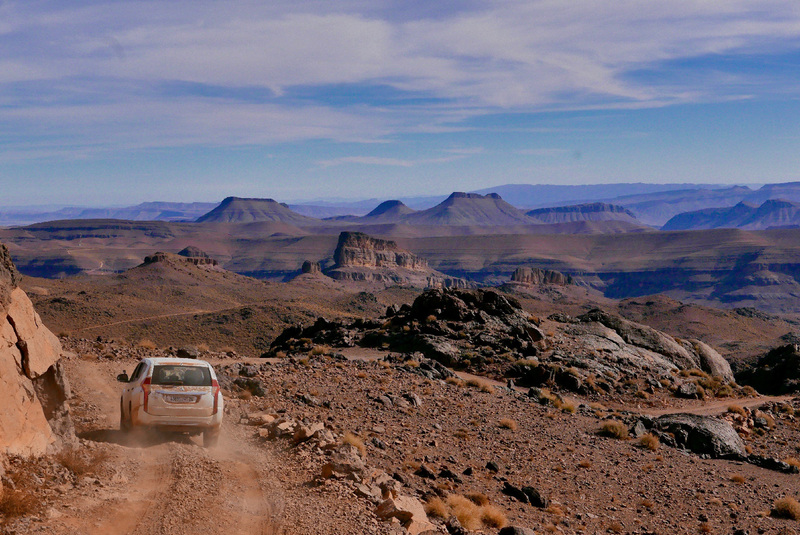 There is an additional checkpoint around KM181, just before the oued crossing and ‘chicane’. 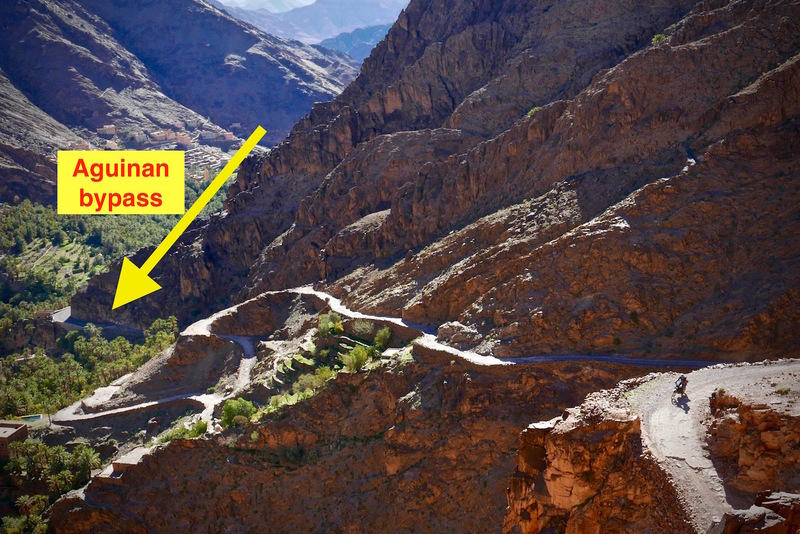 We are probably not the first ones to be confused there, as there were already tracks leading from the KM204 waypoint straight into the oued… If you do cross here you will come to a halt shortly by a lot of water followed by an unsurmountable ridge. Revised with new road north of Bir Anzerane. May link up with Bou Craa road eventually. Now all sealed through to Iknioun. At KM0 (Shell/Afriquia) continue 800m SW to the next roundabout, then turn SW.
At KM3 fork, right is for Ouaklim village; left then turning right (SSW) at KM7 avoids the village. Both routes join up at KM11. From here all clear to Iknioun. Within a year they say the classic MH4 may be sealed to bring in electricity pylons from Nour solar plant. Hard to believe, but in late 2017 the approach to Nekob was already a dirt motorway. Turn right off Olaf… I always get those two mixed up! In December we did the 9-km link route down from MH15 KM69 to MH14 KM31. The impressive 500-m decent (below) is doable from either end in any vehicle that has managed to get this far. We did MS77 in the same rental 4×4 pictured above. Expecting the worst, I have to say it was much less rocky than decribed, but the Mitsubishi was softly spring. I doubt an old HJ60 would have been such a magic carpet. Around KM44, before converging with MS7, things got quite sandy and rutty (left); fun in a car, less so on a loaded moto with road tyres. Before KM72 the main track seems to bypass the dunes mentioned, so that’s not an issue. 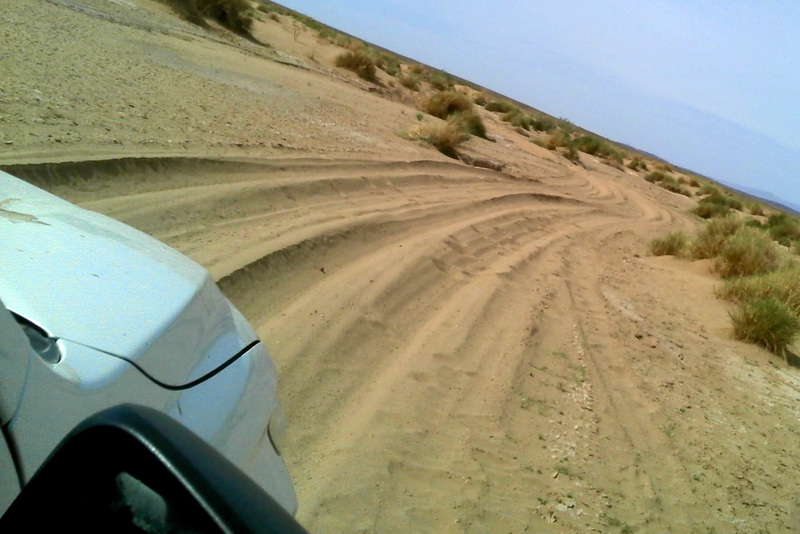 Then, heading NW then W after the desert camps is more sandy ruts. Again, fun in a fourbie, but would require commitment and knobblies on a bike. With the flash new terminal at Marrakech Menara airport, the grubby old #19 ALSA bus stand is now a couple of hundreds metres away from the exit. 20 one way, 30dh return. No longer close to the Melilla border, as on the map p54. Now 12-km away in Nador town: see new map here. Once you leave the road [KM57] the piste is a bit washed out than usual towards the summit. Over the summit initially rough as usual. A new road is working its way up from Nekob with some diversions. In good shape; see this. It’s now asphalt to Amtezguine [KM56], but from there the climb gets quite rocky and washed out for about 10km until the first hamlet at the northern, near the mast. On a big bike I’d say southbound is easier. I’m told they will be sealing the middle section between Agadir Melloul [KM105] and Assaragh [KM137], but I imagine that may take a while.